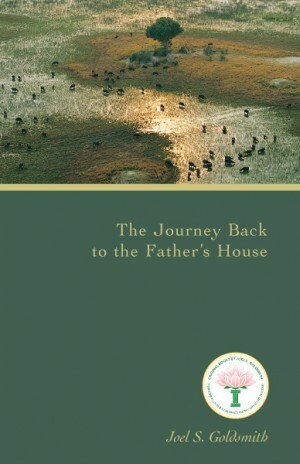 Drawing its title from the biblical story of the prodigal son, The Journey Back to the Father’s House explains that we have wandered away from knowing our true Self and our spiritual home in the kingdom of God within. We have immersed ourselves in the deceptions and illusions of the material world, and if we want a life of true peace and harmony, we must make the return journey. This is a journey which is accomplished within ourselves as an activity of consciousness. But how are we to make this return journey? Goldsmith explains that we must attain “that mind which was in Christ Jesus,” or the transcendental mind that goes beyond the mere intellectual understanding of the letter of truth to the full spiritual realization. He shows the reader how to make that transition by clearing out old concepts of truth, meditating faithfully, and continuously practicing and applying spiritual principles. But, Goldsmith counsels, the journey takes time and practice: “Every truth heard or read that makes you feel it is truth, is a seed that is being taken into your consciousness. You can no more expect it to do something for you tomorrow than if you planted an apple seed today and expected to find apples growing in your yard tomorrow.” The seeds of truth must be nurtured and fed until they are in full flower. As we live with these seeds of truth and cultivate them in a receptive attitude, Goldsmith says, we are on the path back to the Father’s house and to realizing our original relationship of oneness with God. This relationship of oneness is the pearl of great price that enables us to open out a way for harmony in all aspects of life to come forth from within. 6. What Have You in the House?